Dolores Ann Manikowski, 92, passed away February 11, 2019. Beloved wife of the late Edward A. . 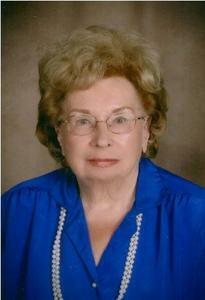 Cherished mother of Gary, Rickey (Mary) and Karen Hillebrand. Dearest grandmother (Bua) of Joseph (Stephanie) Hillebrand, David, Jessica (Bryan) Allen, Robert, Michael (Brittany) and Michelle Manikowski. Great grandmother (Bua) of Riley Manikowski, Ethan Manikowski and Nolan Allen. Loving sister of the late Irene Stewart. A visitation will be held on Thursday 2-8pm, Rosary 7pm at Neely-Turowski Funeral Home, 30200 Five Mile Road, Livonia. Funeral Mass will be held on Friday 10am with an instate 9:30am at St. Priscilla Catholic Church, 19120 Purlingbrook St., Livonia.